Who is the CIO of the Future? While most CIOs agree that their role will change in the next five years, less than a third see themselves as developers of business strategy or drivers of their companys competitive future today, according to a new study by Emerson Network Power. Nearly half characterize themselves as IT service providers and cost centers to the business leaders in their organization. 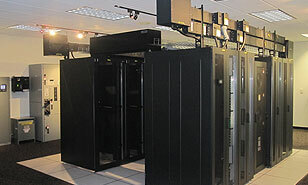 There are a number of reasons why 2013 might be the year for Data Center Infrastructure Management. DCIM software has had a number of years to mature, addressing the need for high levels of discipline in the data center. There are various factors that have contributed to the emergence of DCIM as a priority for data center operators- even if many of them are still sorting out the best way forward. DCIM provides a holistic view of the entire data center ecosystem, dynamically recognizing all the pieces and how theyre interrelated. It helps to plan ahead, both for growth and potential disasters (what happens when a piece of equipment is removed?). 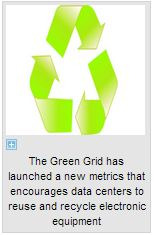 It is being touted as the ERP application for the data center. And as with ERP (Enterprise Resource Planning), it is addressing a complicated challenge. When a device is introduced, changes or fails, it changes the makeup of these complex facilities. Colocation facilities have long promised organizations the opportunity to buy data center capacity as OpEx, without investing CapEx in a new physical infrastructure. But integrated infrastructure solutions now offer a third option, by enabling organizations to buy efficient, intelligent infrastructures without paying for a lengthy and expensive physical build. Join Emerson Network Power to discover key financial and technology considerations that will help guide your decision to invest in hosted, traditional or integrated infrastructure solutions. Participants will also see how Smart Solutions from Emerson Network Power offer OpEx savings of 27 percent and CapEx savings of 10 percent or more over a traditional design approach, while providing a level of ownership and control unmatched by outsourced services.